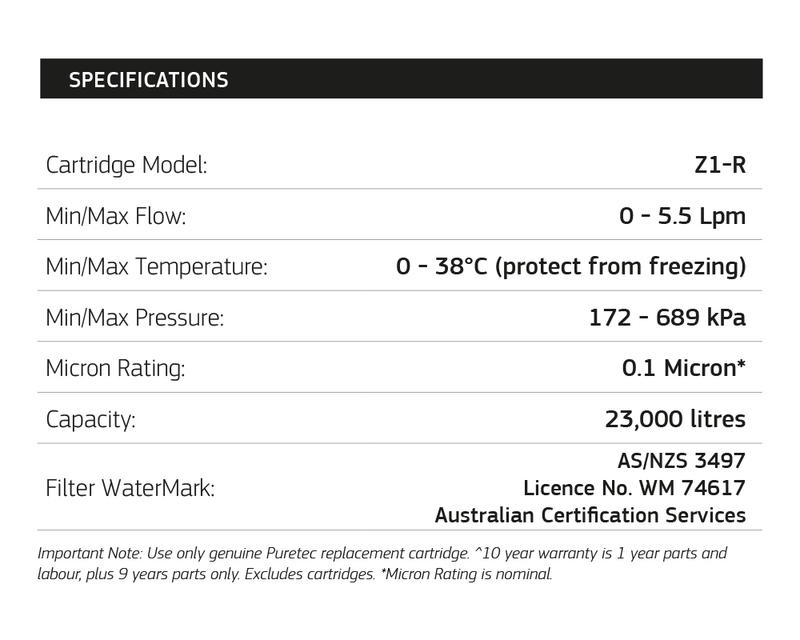 The Puretec Z1-R Replacement Cartridge is made to replace Puretec Z1 Quick Twist cartridges and compatible with all Puretec Tripla Mixers. 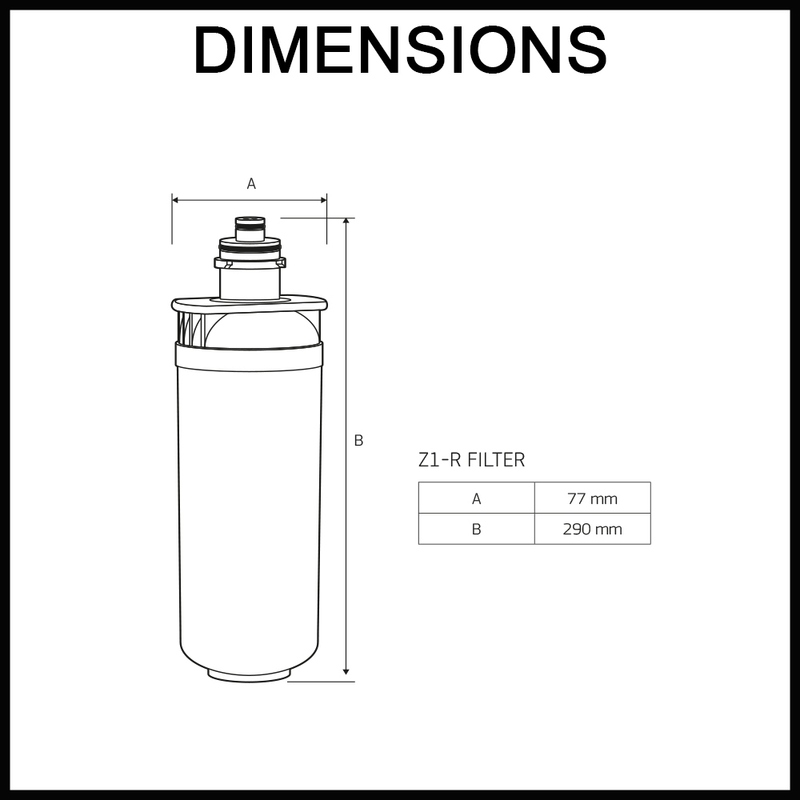 Simply twist your current cartridge off the filter head and twist on your replacement cartridge until firmly sealed. After installing cartridge, flush for 5 - 10 minutes and your new cartridge is ready to use! Item dispatched in 1 - 2 business days All our products are stocked in Australia and are ready to ship to you. 10-year warranty on replacement parts. 1-year parts and labour warranty, excludes cartridge. Conditions apply - see Returns and Warranties Policy. A specialist brand of the Vanguard Design Group | ABN: 48 104 411 314 © Copyright 2016 Vanguard Design Group. All Rights Reserved.